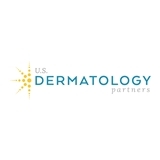 U.S. Dermatology Partners (Grapevine) - Book Appointment Online! Our passion is to provide the best quality skin care available to you, our patients. We hope to make each visit at U.S. Dermatology Partners - from initial consultation to treatment to follow-up - the most convenient, comfortable experience possible. We want to be your skin care partner for life.